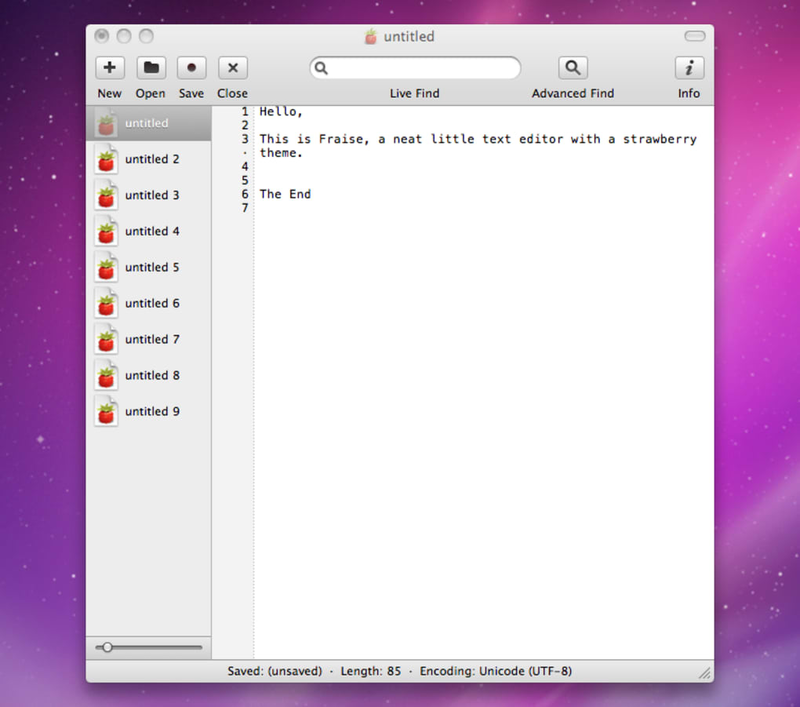 Fraise is a text editor that's ideal for writing, programming, script editing and making lists. If you need text without the rich formatting found in Microsoft Word, an editor like this is ideal. 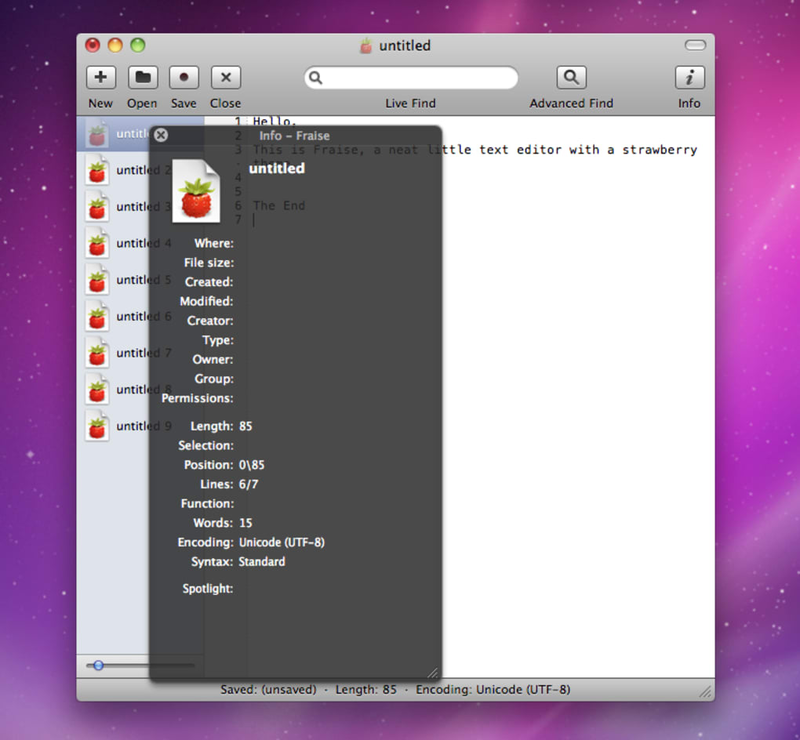 Fraise may be a lightweight and quick application, but it's only compatible with Snow Leopard (OSX 10.6), although earlier versions are available from the developer's site. The interface is smart, with a left-hand column displaying all the open documents, and a menu bar with clear buttons and a useful Live Find search box. 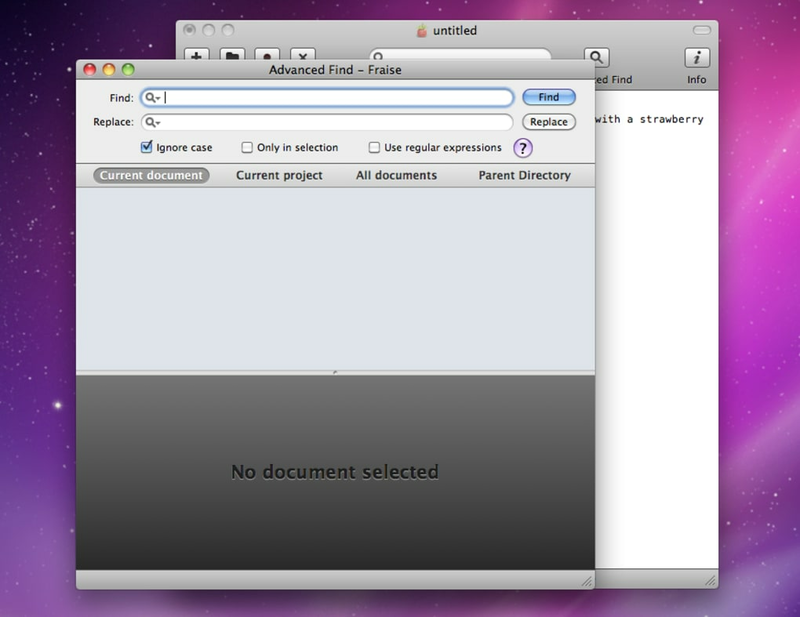 Fraise also has an advanced search button, which allows you to search and replace text. 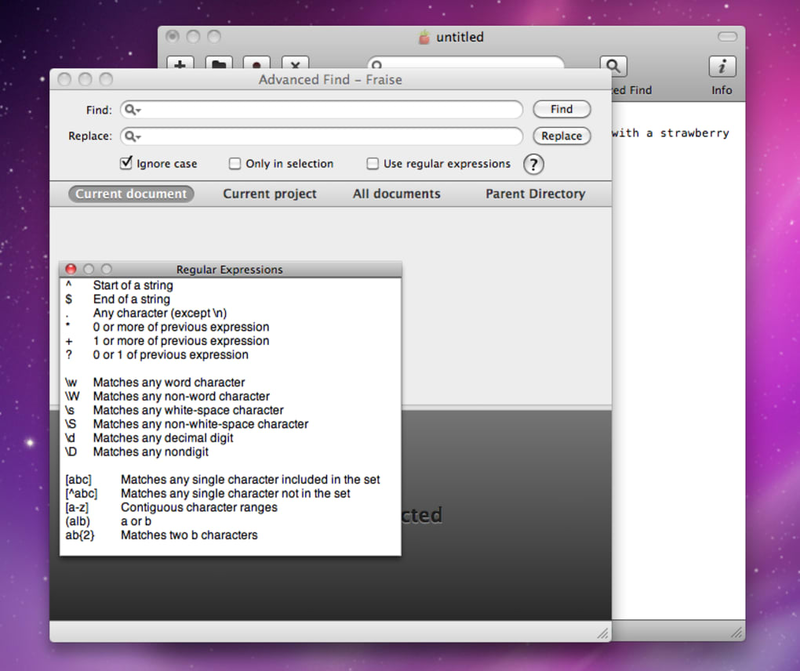 For programming, Fraise can customize text coloration making long programming scripts easier to read through. 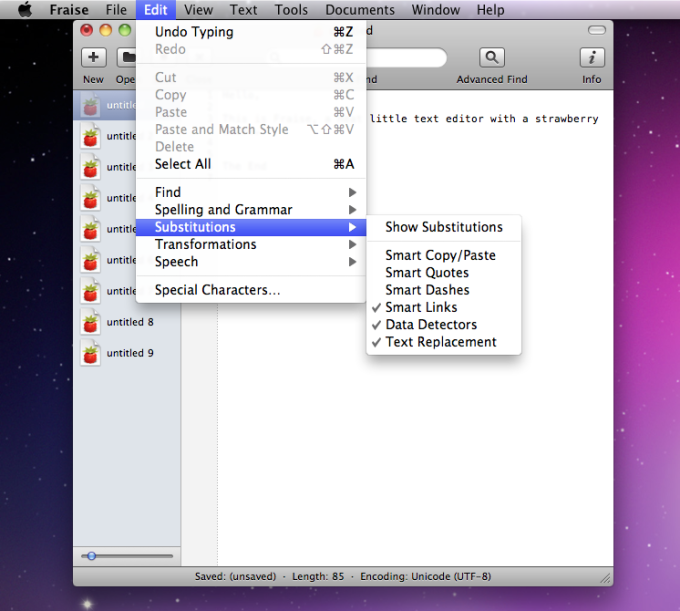 Obviously, as a text editor it doesn't have formatting options that you'll find in a word processor. This is great when writing for the web, but may not suite users who want to produce physical documents. If you want a fast, lightweight and flexible text editor for Snow Leopard, Fraise is an excellent free choice. What do you think about Fraise? Do you recommend it? Why?